Share your opinion and expertise and make residual income at the same time by signing up for Hubpages. On March 11th, 2011 a 9.0 earthquake on the Richter scale occurred off of the east coast of Japan (See Map # 1). 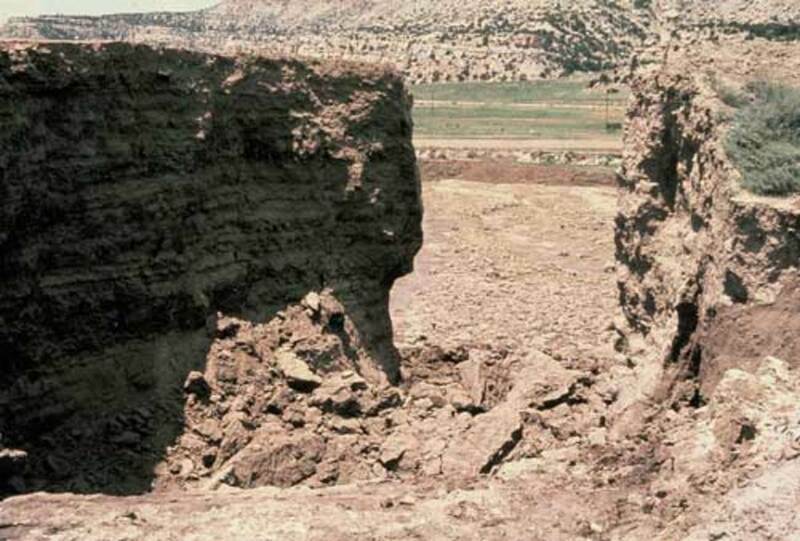 The massive tremor created a tsunami that was estimated at 23 feet (7 meters) in height. Between the quake and tsunami they are estimated to have killed more than 7000 people in addition to devastated thousands of businesses and homes (Fox News; Associate Press). To add insult to injury, the natural disaster caused extensive damage to a critical nuclear power plant. The earthquake triggered the shutdown sequence of the Fukushima nuclear power plant, which is 170 miles (270 kilometers) northeast of Tokyo. 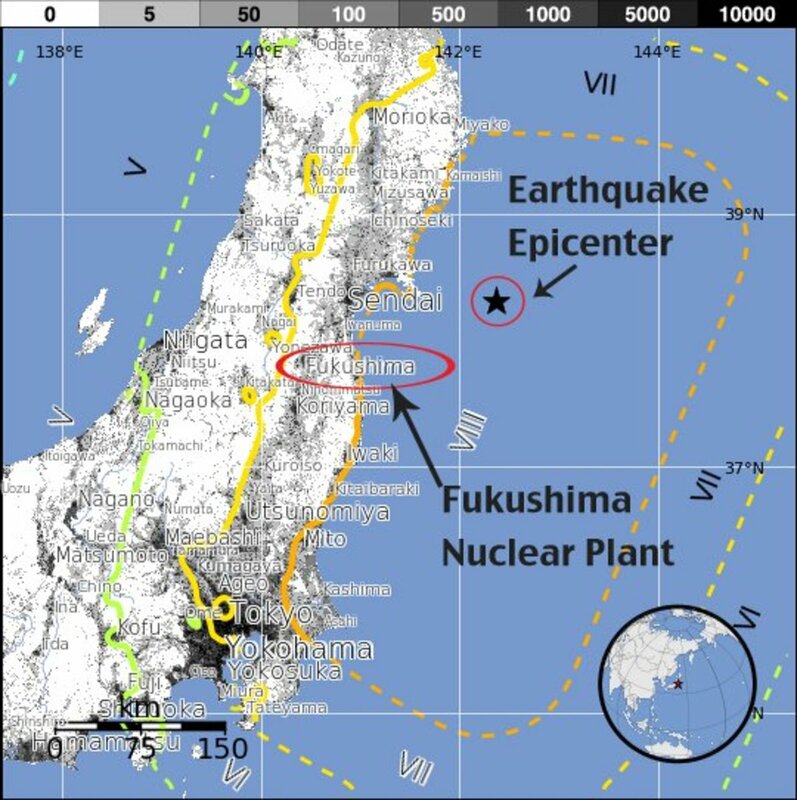 While shutdown was successful, the resulting damage from the earthquake and tsunami damaged critical systems that kept the semi-dormant reactor from overheating and thus melting down (Brook). 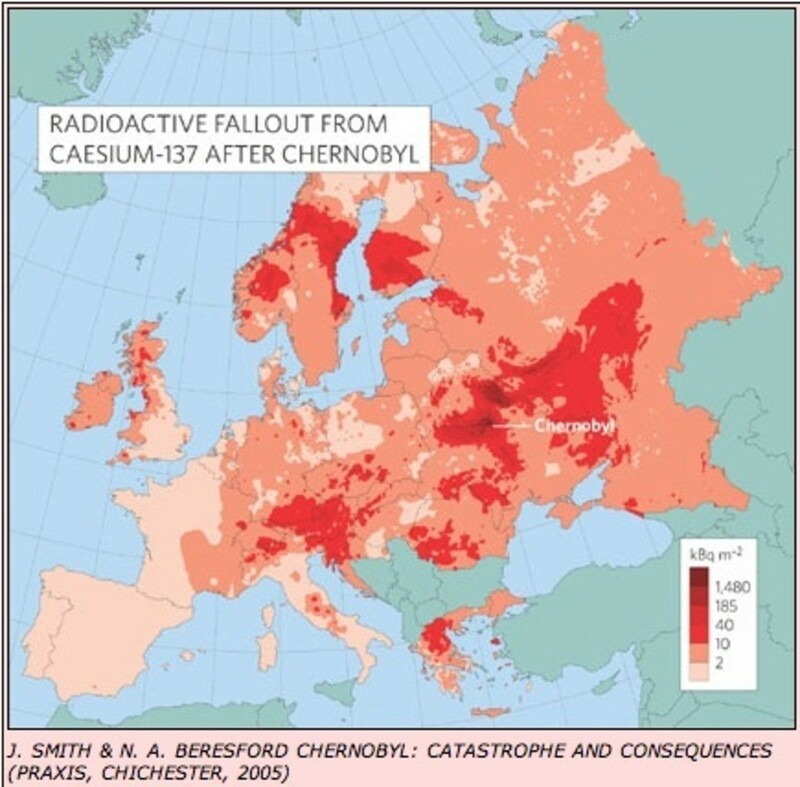 Since the events of March 11th the people of the world have been watching with bated breath to see how this nuclear disaster, which is the largest since the nuclear disaster in Chernobyl Ukraine in 1986 (see map # 3), will play out. While there are major differences between the two, the political implications of both events have had major negative impacts on the geo-political relations of the nations where these disasters took place as well as the nations surrounding them and such negative impacts could have been prevented if redundant safety measures were required by law to be planned into all nuclear power plants. If this is not the case then the risks of nuclear power are far higher than the benefits gained from them. Still, the better of two possibilities is not that great. The Japanese utility firm and government solved the cooling problem by flooding the reactor rooms affected with a mixture of sea and fresh water. They are attempting to contain the water but contaminated water and steam is escaping into the atmosphere. 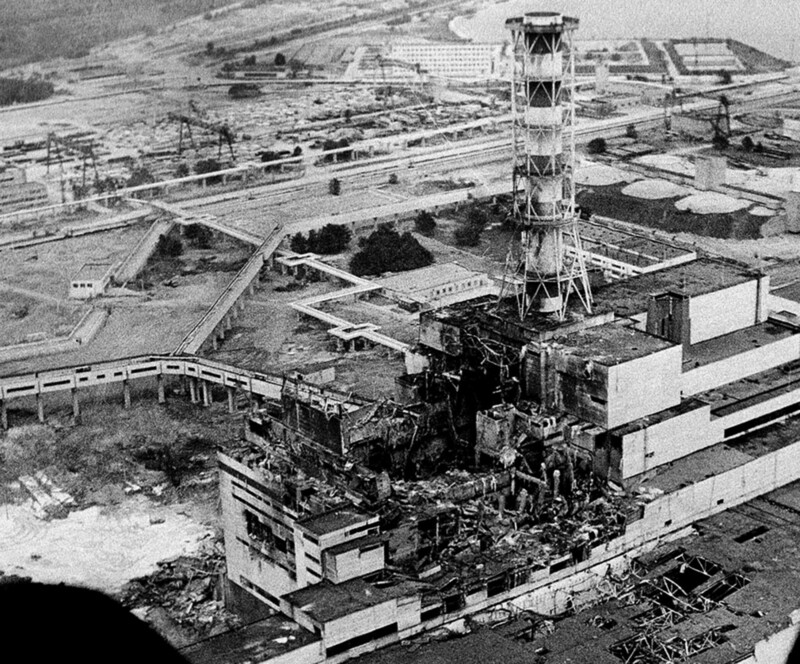 Scientists estimate that this disaster has released roughly 15% of the radiation of Chernobyl (Biello). The areas around the power plant have been evacuated, but trace amounts of radiation have been found in ground water which means that this disaster will affect the Japanese people for years to come with diseases caused by radiation exposure (Fox News; BBC). Associate Press. Huffington Post News. 13 March 2011. 29 July 2011 <http://www.huffingtonpost.com/2011/03/11/japan-earthquake-tsunami_n_834380.html#626_official-death-toll>. BBC News. BBC Asia-Pacific News. 12 April 2011. 29 July 2011 <http://www.bbc.co.uk/news/world-asia-pacific-13050228>. Biello, David. Scientific American. 24 June 2011. 29 July 2011 <http://www.scientificamerican.com/article.cfm?id=fukushima-meltdown-radioactive-flood>. Brook, Barry. Brave New Climate. 13 March 2011. 29 July 2011 <http://bravenewclimate.com/2011/03/13/fukushima-simple-explanation/>. Fox News. Fox News. 11 March 2011. 29 July 2011 <http://www.foxnews.com/world/2011/03/11/massive-7-magnitude-earthquake-strikes-japan/>. Hoffman, Steven. Red Green & Blue. 1 June 2011. 29 July 2011 <http://redgreenandblue.org/2011/06/01/fukushima-radiation-found-in-california-milk-fruit-vegetables/>. Khare, Priyanka. Brandlicensingexpert.com. 17th March 2011. 2011 29 2011 <http://www.brandlicensingexpert.com/blog/bid/61180/Pete-Shares-His-Thoughts-On-Negotiating-Licensing-Deal-Terms>. Lin II, Rong-Gong. 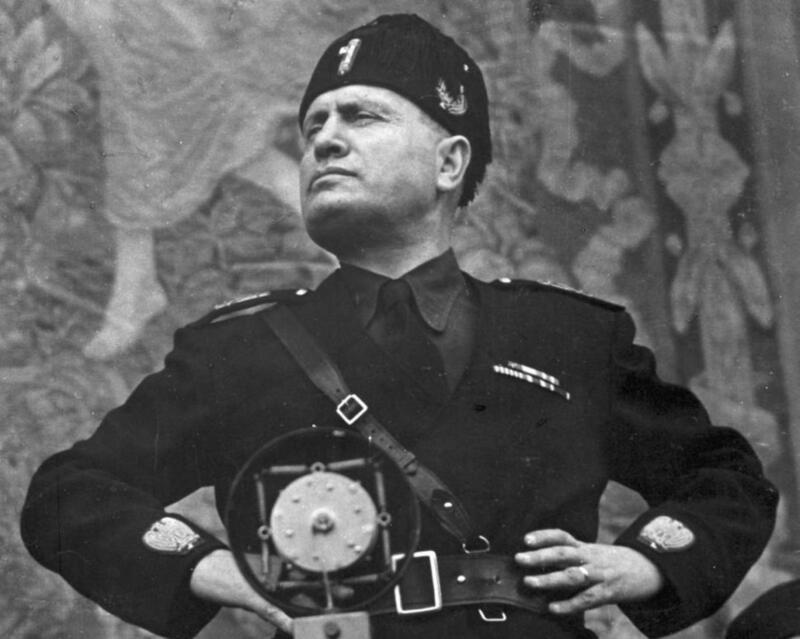 L.A. Times News. 18 March 2011. 29 July 2011 <http://articles.latimes.com/2011/mar/18/world/la-fgw-japan-quake-sacramento-20110319>. Vastag, Brian and Steve Mufson. Washington Post News. 26 May 2011. 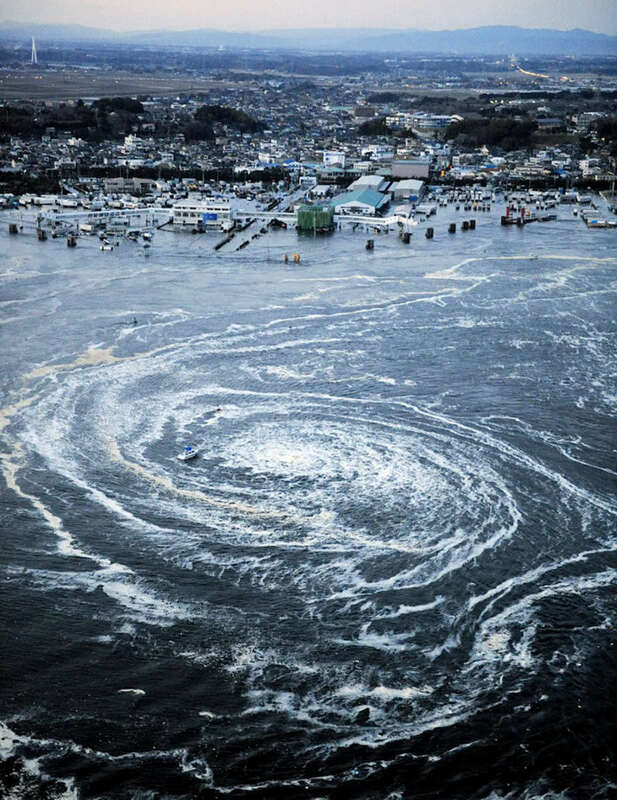 29 July 2011 <http://www.washingtonpost.com/national/japanese-scientist-fukushima-meltdown-occurred-within-hours-of-quake/2011/05/26/AGYXSJCH_story.html>. Waller, Moby. Bigtrends.com. 15 March 2011. 29 July 2011 <http://www.bigtrends.com/options/post-chernobyl-spx-performance-may-be-repeating/>. Of concern to the people of North America in general and the Western US in particular is the radiation spreading to their shores. L.A. Times’ Rong-Gong Lin II reported that “A minuscule amount of radiation from the stricken Fukushima Daiichi nuclear reactor in Japan was detected in Sacramento but at such a low level that it posed no threat to human health,” and yet the fear of radiation exposure caused fervor in the region. 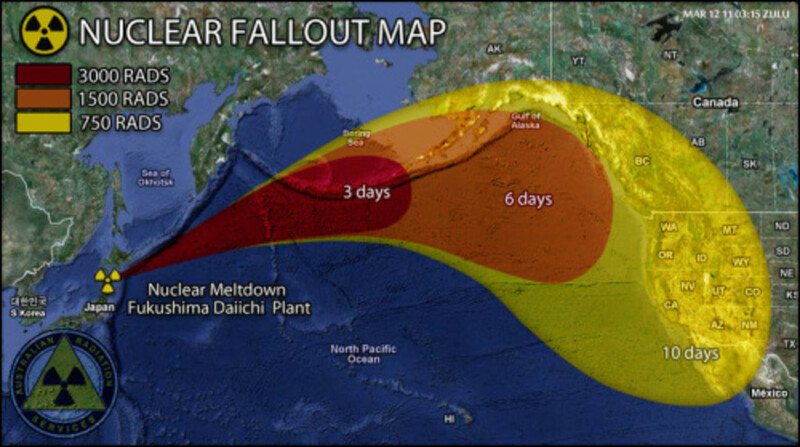 Map # 2 shows the wind patterns and distribution of radiation to North America from ground zero at Fukushima Japan. A debate on whether nuclear energy is worth the risk was highlighted by several points. First the Swiss government decided to phase out nuclear energy. Second, additional trace amounts of radiation was found in milk, strawberries and other foods grown in California (Hoffman). The spread of the radiation is through the irradiated steam and gasses that have escaped the reactor and spread through the Gulf Stream to North America (Waller). Fortunately, the US and other nations have been providing aid to Japan long before the true affects of the reactor failure became known. But still, this issue is sure to cause international strain because of the cost of cleanup efforts. Peter Bradford, a former member of the NRC said "You can clean up almost anything if you're prepared to spend enough money on it" (Biello). But cleaning up the accident will not take back the leukemia that a child contracted because of radiation exposure. Some nations such as Switzerland have deemed the risk of nuclear failure as not worth the risk as previously mentioned while others such as the USA have and are reviewing safety measures and regulations (Mufson). The only real solution that would allow for continued operation of nuclear power is multiple backup systems and redundancies to prevent a failure at the level of either Fukushima or Chernobyl; anything less than this should be greeted with opposition. The environmental and health risk of another catastrophic reactor failure is a thing of nightmares.